We are giving away 3 gift cards! Each winner will receive a $50 gift card to the store! This photo will be posted on our Facebook page today. Like it for a chance to win! If you “Share it” your name will be entered in twice in the contest. If one of your friends leave a comment and tells us that you sent her/him then your name will be entered three times for a chance to win. Today this photo was also pinned to our “Pin It to Win It” Board. Pin this photo sharing our news for a chance to win! 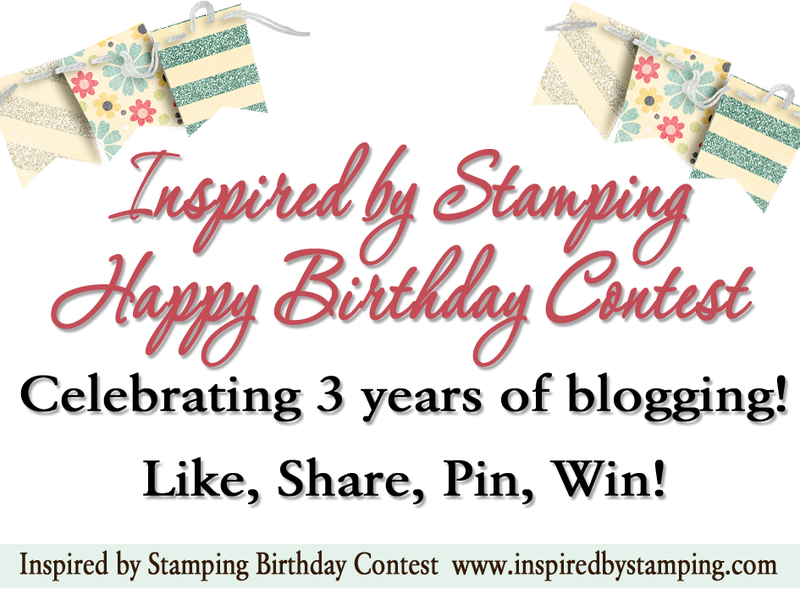 Leave a comment on Joanna's Blog, wishing us a Happy Birthday and you are eligible for a chance to win too! Thank you for celebrating in our birthday excitement! We look forward to reading the comments below! PS Don’t forget to sign up for our Newsletter Contest as well! Hugs, Joanna and the Inspired by Stamping Team!